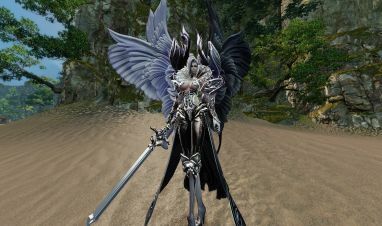 New to the magnificent world of Revelation Online or just feel you need a little boost to your arsenal? Well this deal is for you. The Revelation Online Collector Packs are now on sale for 56% off its regular price! This amazing discount will only be available until Thursday, December 7th, 14:00 CET (5am PST), so don’t blink or you may miss your chance! If you’ve never indulged yourself with one of our glorious Collector Packs, now is your chance to grab a bargain and enjoy an upfront discount of 30% off on both our Inventor and Wild Wind packs. But that’s not all, if you purchase a Deluxe pack you can take advantage of an even greater discount of 40% off the upfront cost. Upgrades to deluxe pack also benefit from this offer so don’t miss out on this opportunity! For our loyal players who have already purchased deluxe packs, worry not, we have not forgotten you! If you have previously purchased one of our Deluxe Packs you will be given a whopping 56% for every additional one purchased! Don’t wait too long to take advantage of the amazing discounts and bonuses! Get into the festivities by celebrating in all types of ways with these Sludge Runes! 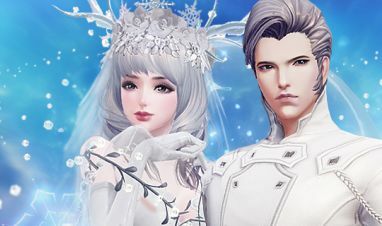 To help you craft your very own wintry story, our curated suite of winter necessities includes a polarizing array of white suits, pearly gowns, fun veils, and a mount you won’t want to miss!